My contribution to this week’s WordPress Weekly Photo Challenge are some images that I took on my trip to Italy back in the summer of 2011. I originally process these as HDR when I first got back and was not at all happy with the way they turned out so I never posted them. Since that time I’ve started to use Lightroom and when I saw this weeks challenge I went back to my archives and decided to process just one exposure of each image solely in LR5. I was quite pleased with the end result. Let me know what you think. 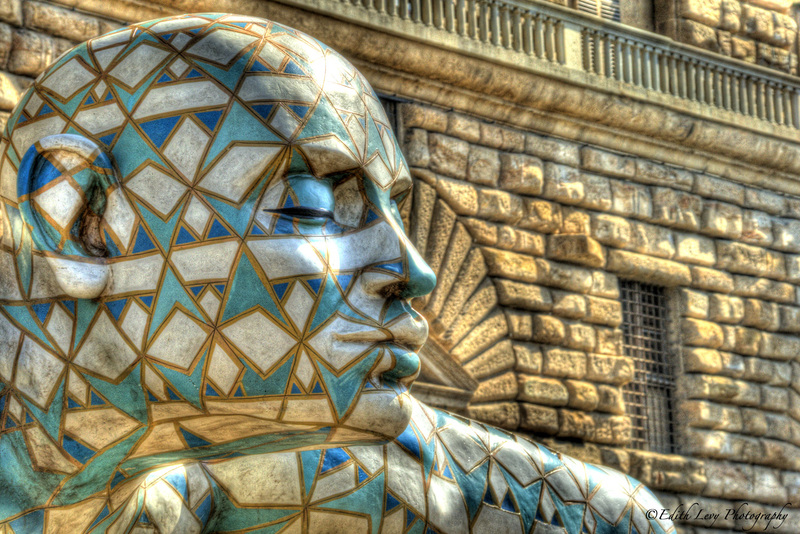 I was going through some of my Italy images and realized that there are still a few that I’d never posted. Strolling through the streets of Florence not far from the Pitti Palace I came across a row of parked Vespas. What drew me to this scene were the subtle details…the way the Vespas were all lined up, they way they’re all pointing in the same direction, the shadows that the over head trees cast on the wall. They all work together so well. Click here or on the image to enlarge (it really looks better) or to Purchase a Print. You can see the original post for the weekly photo challenge here. Florence (or Firenza, it’s Italian name) is a city that is wall to wall tourists and in the heat of the summer, 39 Celsius in the shade today, it can get to be a bit much. Okay now that I got that out of the way (I think I got a bit of heat stroke today) let me start again…. Florence is a city rich in history, art and beauty and regardless of the tourists and the heat of July it’s beauty is unparalleled. 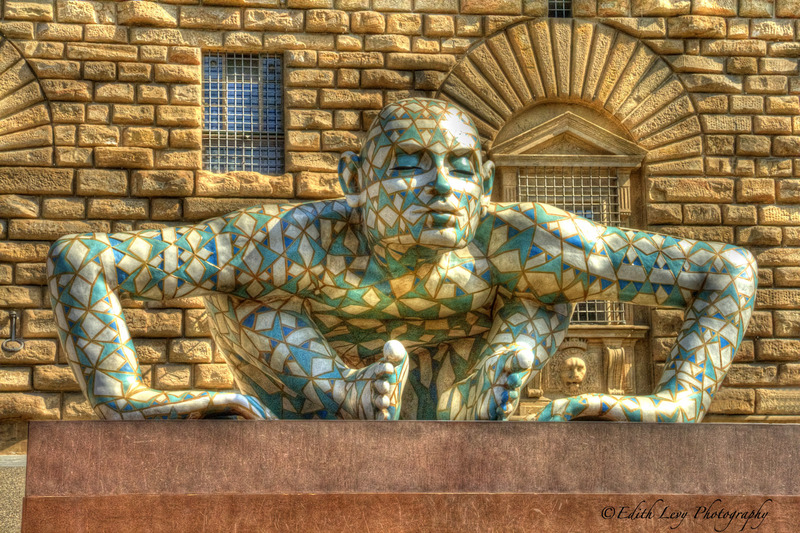 Whether your walking through the narrow streets lined with palazzos, museums or small row houses or crossing the Arno river via the Ponte Vecchio it’s a city that will leave you awestruck. Actually had it not been for my husband Alan I think I came close to being run over by a vespa more then once as I was paying more attention to the sights around me instead of focusing on crossing the roads. 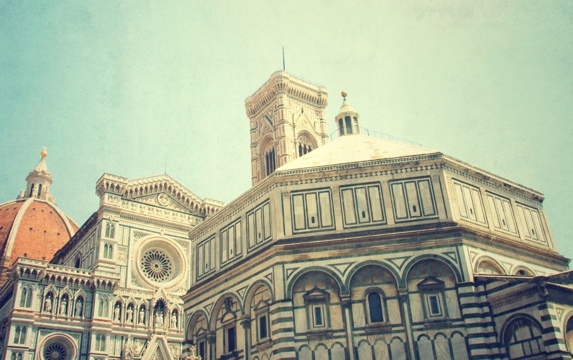 This first shot is of the Duomo which is Florence’s masterpiece and took almost 3 centuries to complete. I’ll be posting some other shots of the Duomo once I get home but I didn’t think a post focusing on Florence would be complete without a shot of it. 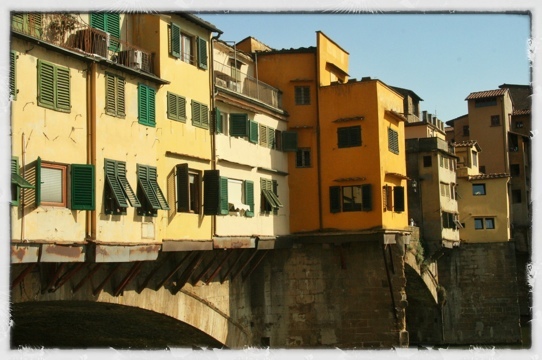 This is the Ponte Vecchio the old covered bridge that crosses the Arno. Today it’s filled with jewelry stores but looking at it from the outside gives you a bit of a glimpse of how Florentines used to live.